Summarize your bug The specific know instance of this bug causes errors to occur during raids, specifically: a) Glitches which force the raid to be restarted b) It also causes properly mark completed battles My guildmate was recently banned because this bug caused him to flagged for cheating. I can only imagine that this bug has caused others to be wrongly thought to be cheating. As the first instances of the bug were observed after returning from five and a half months (Feb 21 – Aug. 12 or 172 days) away from the game, it is undoubtedly due to a cumulative update error. Please note that the Sith raid was introduced (March 2018) and modified during this away period. This can be tested easily and really must be as there is an evident flaw in the way cumulative updates were applied in at least this instance. It must also be investigated as it has led to the banning of gamers. For instance, Zerobeatdown, who at the present time is still banned. Steps: How can we find the bug ourselves? HOW can we find the bug ourselves: 1) Install the SWGOH version dated February 21, 2018 onto an android phone (Samsung S8) 2) Skip updates from this date to August 12, 2018 and install the cumulative update proposed. This should: a) Replicate the bug. b) Identify a problem with cumulative update processes. c) Prompt a new cumulative update that would fix affected accounts. d) Prompt a check for incorrectly flagged and banned for cheating and reinstating those accounts, with apologies. For instance, Zerobeatdown of the Belgian Rebellion Guild. My guildmate was recently banned because this bug caused him to flagged for cheating. I can only imagine that this bug has caused others to be wrongly thought to be cheating. As the first instances of the bug were observed after returning from five and a half months (Feb 21 – Aug. 12 or 172 days) away from the game, it is undoubtedly due to a cumulative update error. Please note that the Sith raid was introduced (March 2018) and modified during this away period. This can be tested easily and really must be as there is an evident flaw in the way cumulative updates were applied in at least this instance. It must also be investigated as it has led to the banning of gamers. For instance, Zerobeatdown, who at the present time is still banned. 2) Skip updates from this date to August 12, 2018 and install the cumulative update proposed. b) Identify a problem with cumulative update processes. c) Prompt a new cumulative update that would fix affected accounts. d) Prompt a check for incorrectly flagged and banned for cheating and reinstating those accounts, with apologies. For instance, Zerobeatdown of the Belgian Rebellion Guild. This issue has not been addressed. I have talked the player through copying and zipping the game data for your team to check. 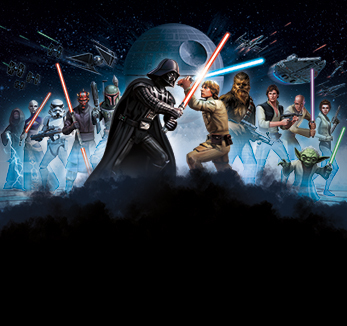 The staff with Bans at Star Wars Galaxy of heroes has indicated that here is the place to report the bug. Please do so.